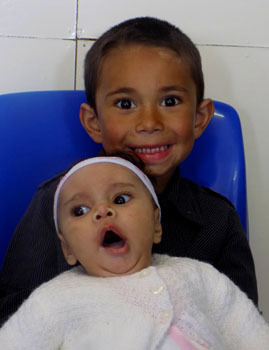 Holly Rogers was baptised on 6th December 2015 at St Joseph's Church, Tristan da Cunha. 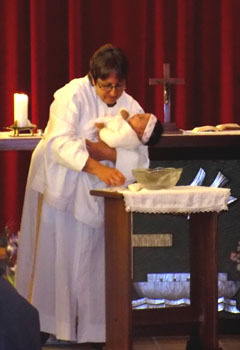 Holly Violet May Rogers, was Christened on Sunday 6th December in St Joseph's Church. The day started with sunshine, but started drizzling just as everyone were on their way to church. Thankfully it did clear later that morning. 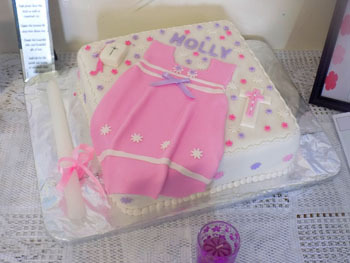 After the beautiful service, held by Anne, everyone congregated at the Prince Philip Hall to celebrate the Christening and shower Holly with gifts. 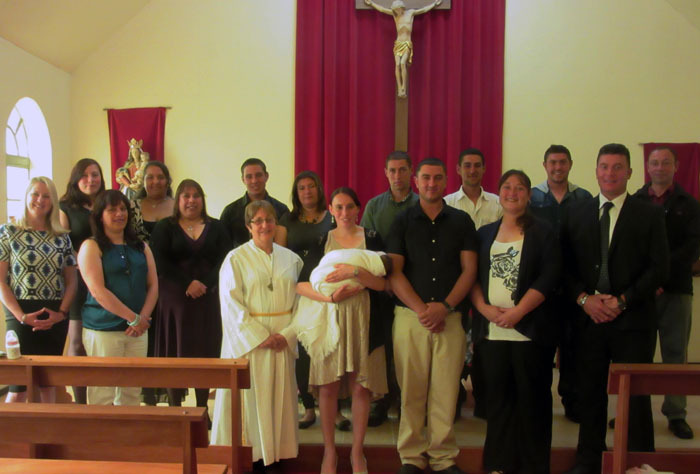 Godparents, Left to Right, Kelly Burns, Conchita & Geraldine Repetto, Linda Green, Vera Glass, Dean Repetto, Lay Minister Anne Green, Kelly & Mum Glenda Swain, Holly, Julian Repetto, Dad Philip Rogers, Clifton Repetto, Donna & Jason Green, Clive Glass and Matthew Green. 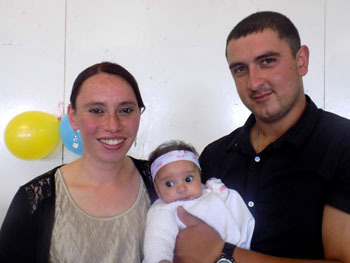 Absent were Charmaine Swain and Kimberley Green.